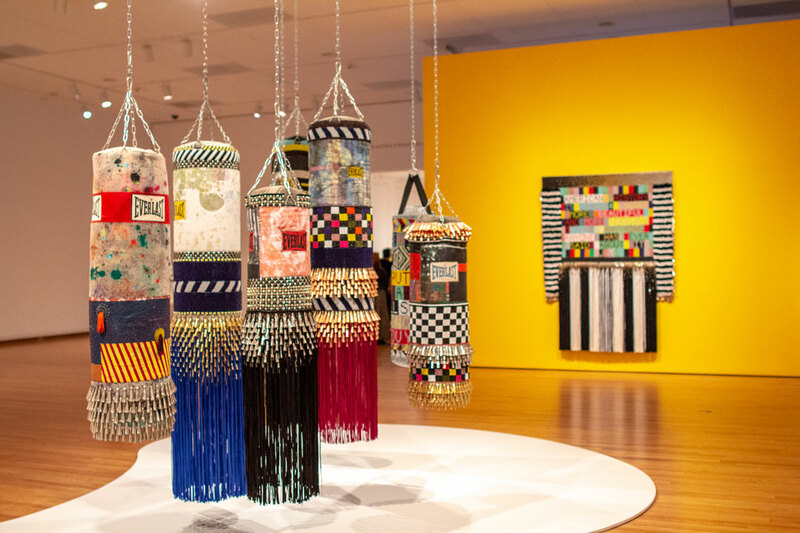 There’s only a month left to see Jeffrey Gibson: Like a Hammer! Seattle Magazine’s Gavin Borchert celebrates the exhibition’s insistence on blending all kinds of associations. SAM’s Chief Conservator Nicholas Dorman spoke with Hyperallergic’s Kealey Boyd for this story on the need for specialized conservators of East Asian art; SAM’s forthcoming Asian Paintings Conservation Center will treat works from its collection and serve other institutions as well. 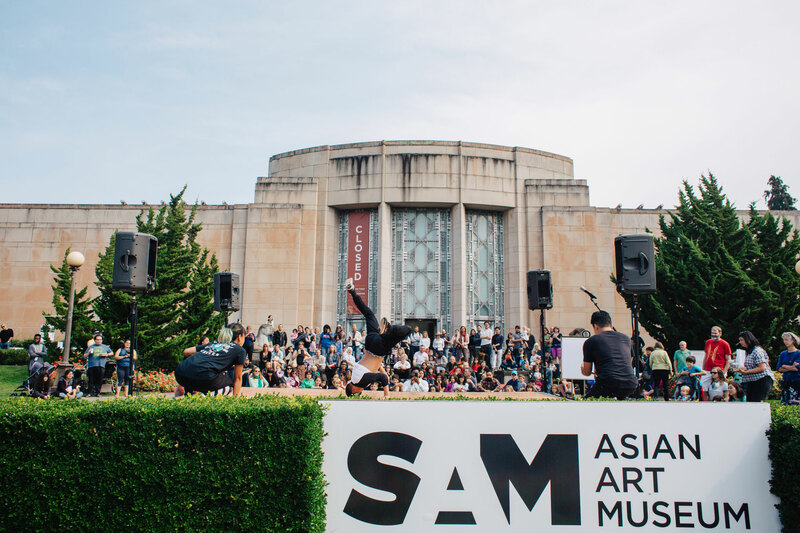 AFAR’s Alison C. Meier calls The Allure of Matter: Material Art from China one of “10 Incredible U.S. Museum Exhibits to See This Summer.” This immersive, exciting exhibition of contemporary Chinese art debuts at LACMA this summer—and heads to SAM in 2020. Crosscut’s Agueda Pacheco Flores on the recently debuted Nepantla Cultural Arts Gallery in White Center, which founders Jake Prendez and Judy Avitia-Gonzalez will devote to Latinx art and programs. Our pets are obviously the best. The Stranger’s Jasmyne Keimig talks with several local pet portraitists—including Rebecca Luncan, a preparator and mountmaker at SAM!—who preserve their goodness for all time. Hyperallergic’s Jasmine Weber on the Musée d’Orsay’s Black Models: from Géricault to Matisse, based on Denise Murrell’s thesis on black models in French art. Artnet has the stunning images from a newly discovered tomb in the town of Saqqara, south of Cairo; more than 4,000 years old, it’s remarkably well preserved. The Chicago Tribune’s Steve Johnson reports on the postponement of a major exhibition on Native pottery at the Art Institute of Chicago, due to concerns over a lack of Indigenous perspectives. I would like to see it: An interview with the first full-time art therapist on staff at a North American museum. 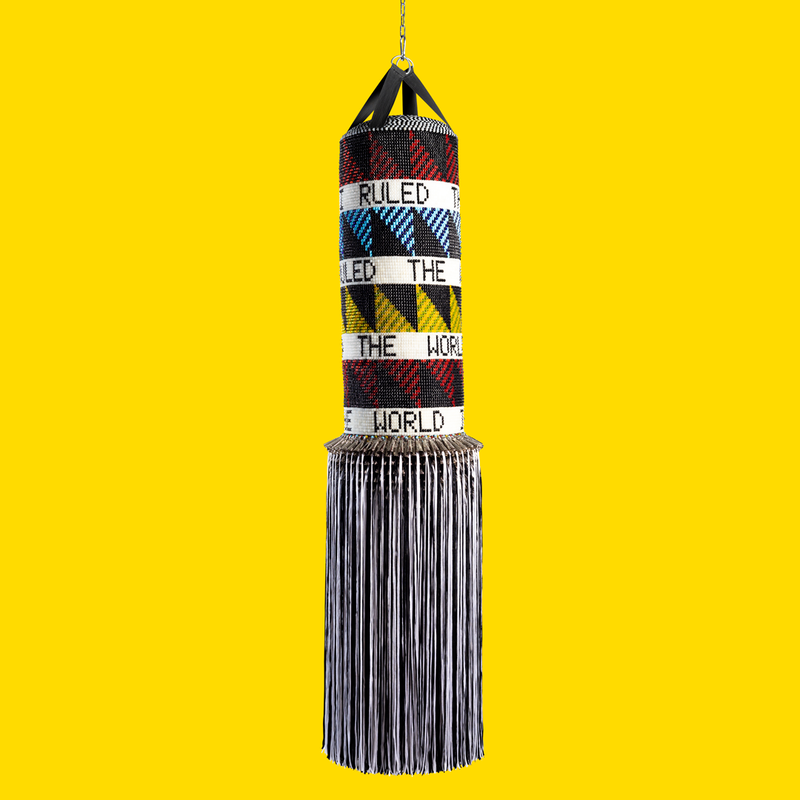 Image: IF I RULED THE WORLD, 2018, Jeffrey Gibson, Mississippi Band of Choctaw Indians/Cherokee, b. 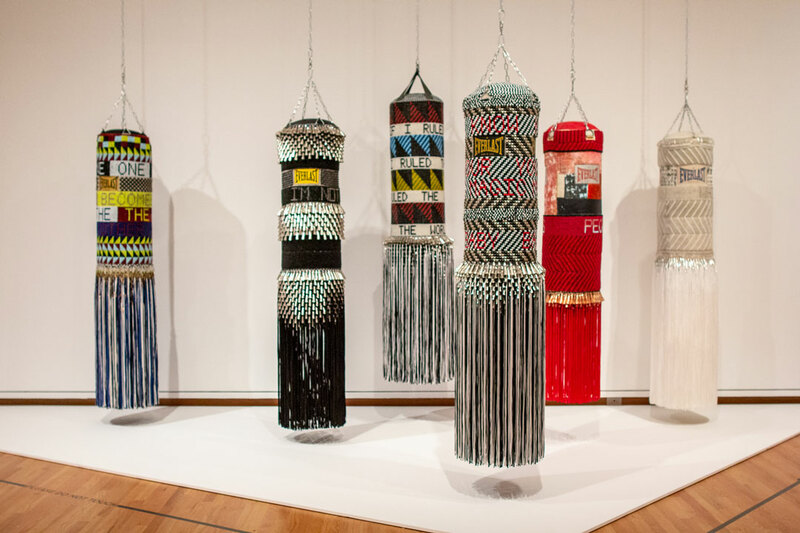 1972, repurposed punching bag, acrylic felt, glass beads, metal jingles, artificial sinew, and nylon fringe, 79 x 15 x 15 in., Seattle Art Museum, Modern Art Acquisition Fund; by exchange Eugene Fuller Memorial Collection; American Academy of Arts and Sciences, Childe Hassam Fund; Sidney and Anne Gerber; Jan and Gardner Cowles; David Hoberman; Gordon Woodside; Ed Rossbach; Pat Klein and Stephen Wirtz Gallery; Gary Wiggs; Jerome D. Whalen; Karin Webster; Virginia Zabriskie; Dinah James and the Diane Gilson Gallery; Mr. and Mrs. Frederick Weyerhaeuser Davis; Norman and Amelia Davis Collection; Mrs. Will Otto Bell; Puget Sound Group of Northwest Painters Award in memory of Eustace P. Ziegler, 1969, 2018.17, © Jeffrey Gibson, photo: Peter Mauney. 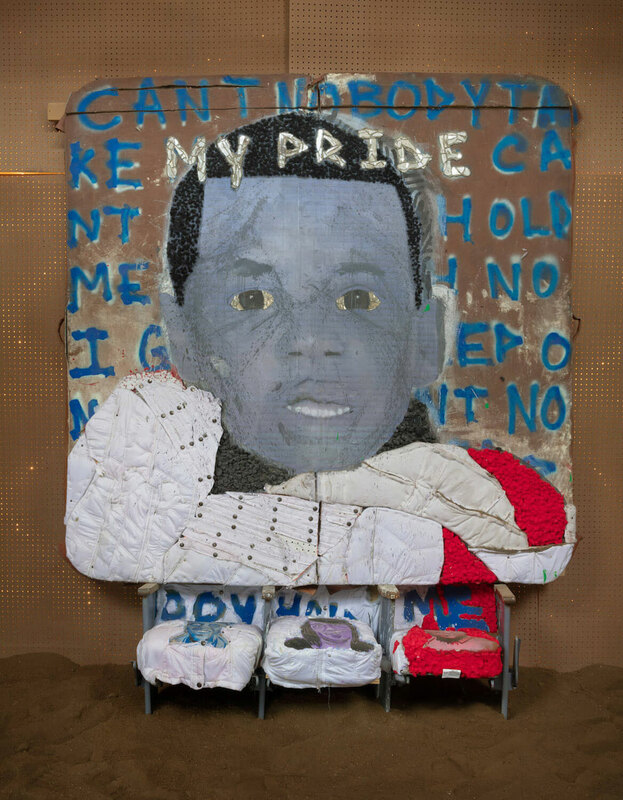 Jeffrey Gibson: Like a Hammer was featured in a spring arts preview on KING 5’s Evening Magazine’s March 14 episode, and the writers of Teen Tix highlighted the show in their email newsletter. 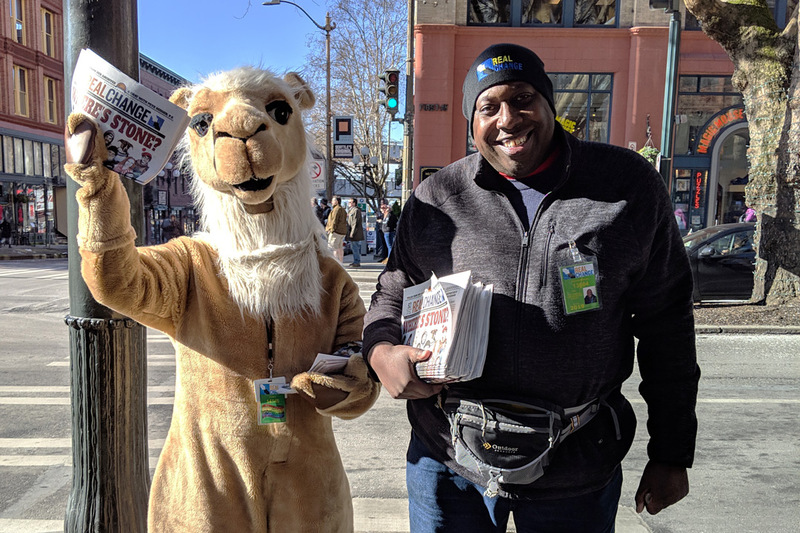 Watch Jen Dev’s video story for Crosscut on the Black Trans Prayer Book, an interfaith, interdisciplinary project created by J Mase III and Lady Dane Figueroa Edidi. The Seattle Times’ Brendan Kiley explores the new and shiny ARTS at King Street Station, along with its inaugural exhibition, yəhaw̓—go see it this weekend! Martin Bailey of the Art Newspaper reports that London’s National Portrait Gallery will not accept a €1 million grant from the Sackler Trust; the Sackler family is under fire for their role in the opioid epidemic. Hey, it’s Women’s History Month. Let’s explore the perils of the pink collar with this just-released report from the Gender Equity in Museums Movement (GEMM). The Guardian’s Hamilton Nolan on New York City’s Hudson Yards, the biggest private real estate development in US history (spoiler alert: he HATES it). Spring arts previews blossom! 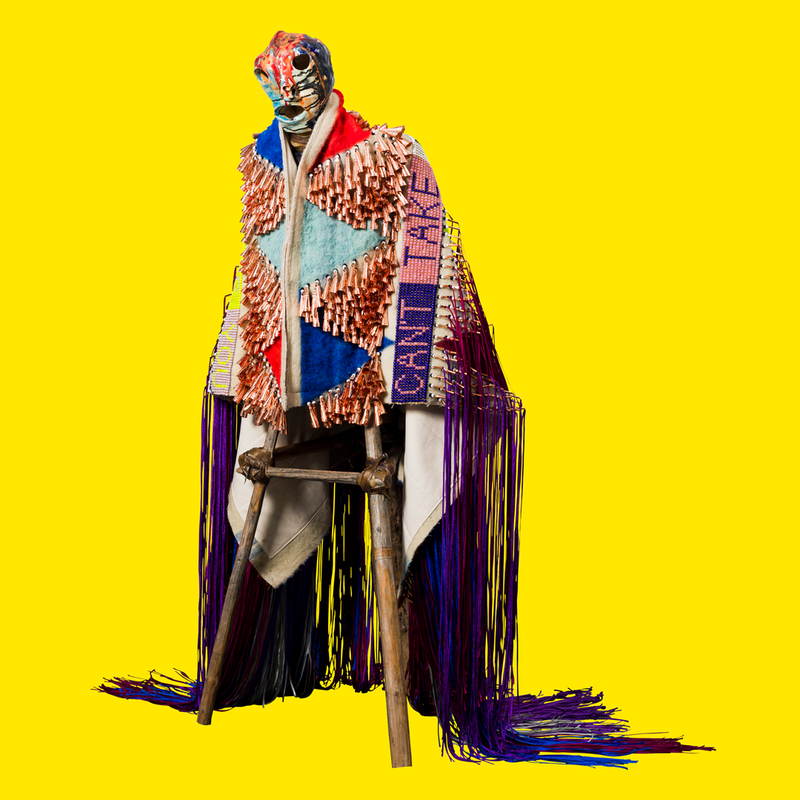 The annual New York Times special Museums section is out; Jeffrey Gibson: Like a Hammer is featured in the recommended exhibitions listings. KUOW’s Marcie Sillman answers the question: What’s the story behind those bronze dance steps on Capitol Hill? Crosscut’s Brangien Davis on Degenerate Art Ensemble’s “most personal performance yet,” which played last week at Erickson Theatre. The Stranger’s Jasmyne Keimig previews Regeneración | Rebirth at Vermillion Art Gallery, the first in a series of three shows done in conjunction with yəhaw̓. Also of note in the New York Times Museums section: Alex V. Cipolle’s look at Crow’s Shadow Institute of the Arts (C.S.I.A), the only professional print house on an Indian reservation in the United States. 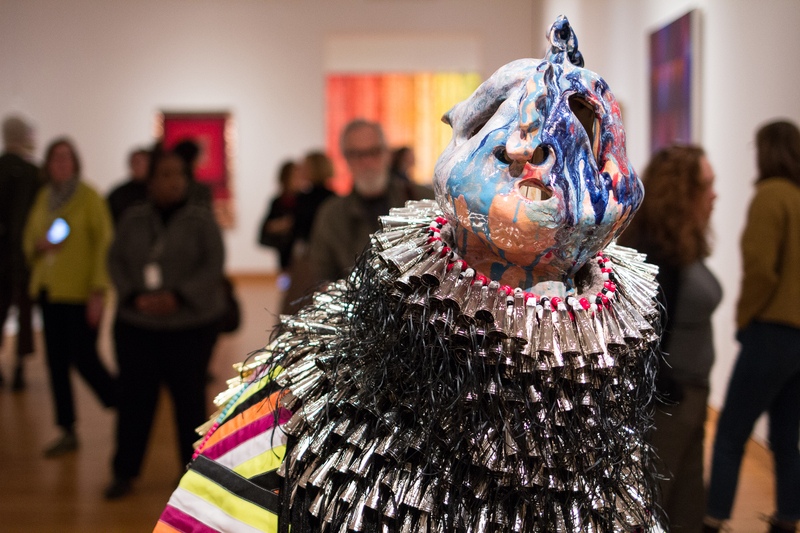 Rick Bartow, Marie Watt, Jeffrey Gibson, and Wendy Red Star have all been residents of its program, and 2018 Betty Bowen Award-winner Natalie Ball is a resident this year. 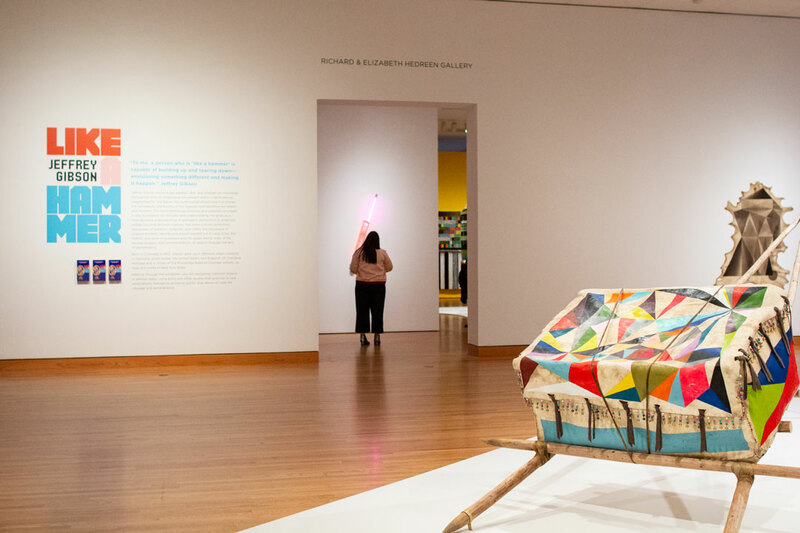 And here’s Robin Pogrebin on different ways that institutions are handling overcrowded collections; take the quiz to see if you can make tough choices on artworks, as did the Indianapolis Museum of Art. Artnet’s Naomi Rea on how “experience” as a marketing buzzword has infiltrated the museum world. It’s a good museum, Brent.